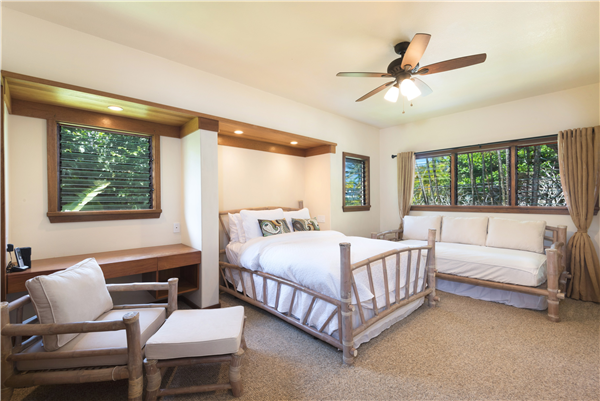 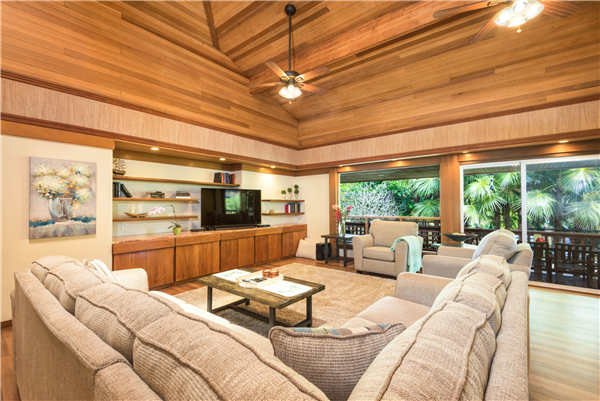 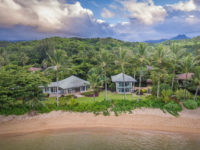 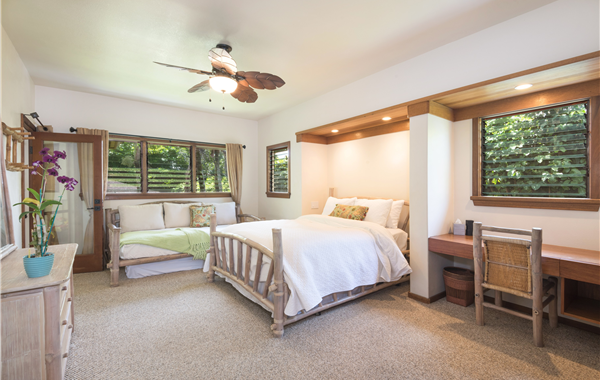 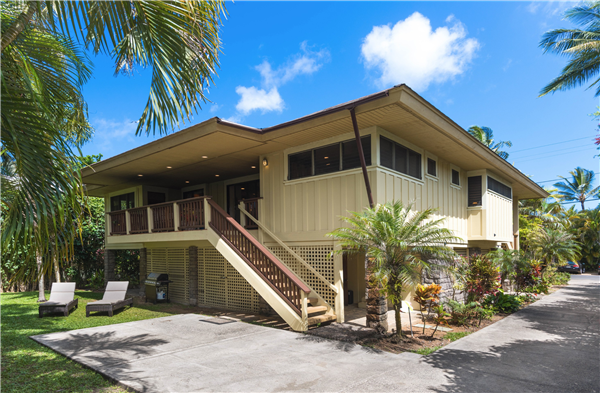 ANINI BEACH, KAUAI VACATION RENTAL: As one of the more spacious homes on Anini Beach, ’Hale La’Au Pohaku’ (House of Wood and Rock) offers 2,300 square feet of indoor floor space, plus 500 square feet of two covered lanais. 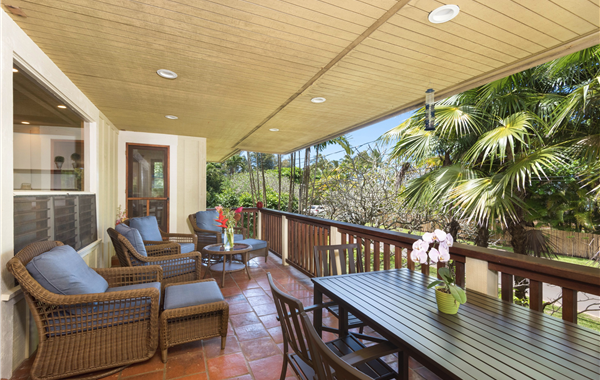 This home sits just 75 steps from the ocean with a private path to the beach out the front door. Step into paradise as the large open great room comes with Koa wood floors, doors, and cabinets, as well as a 24-foot-high, custom Hawaiian wood, cathedral ceiling, skylights, with marble and granite finishes. 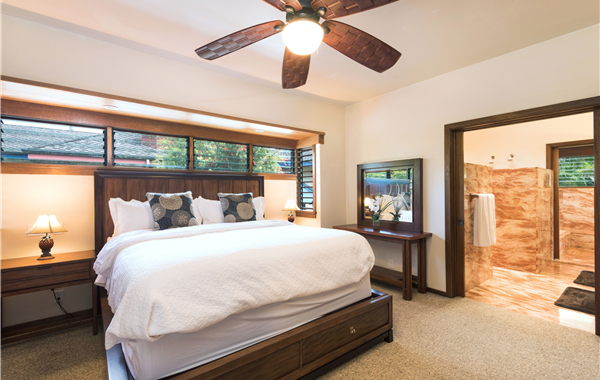 Each bedroom has therapeutic mattresses with high quality linens and pillow options. Ceiling fans in every room help you fall asleep to the ocean breeze with ease. 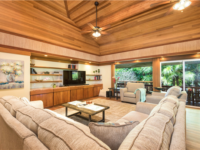 Custom lighting throughout the home adds to the amazing vacation pictures. 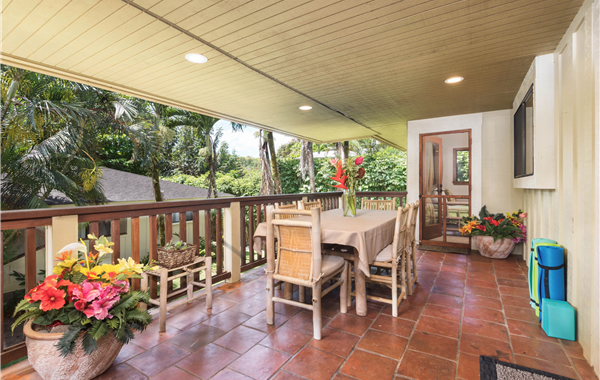 The front and rear lanais have beautiful, partial ocean and mountain views, respectively. 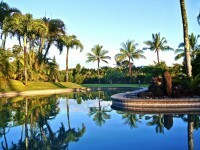 The landscaping features an abundance of tropical plantings and flowers, attracting birds and wildlife. The large master suite has a king size bed, a marble bathroom with twin vanities and a luxurious shower. 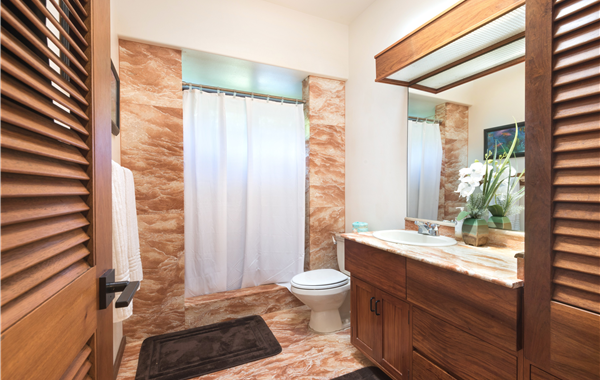 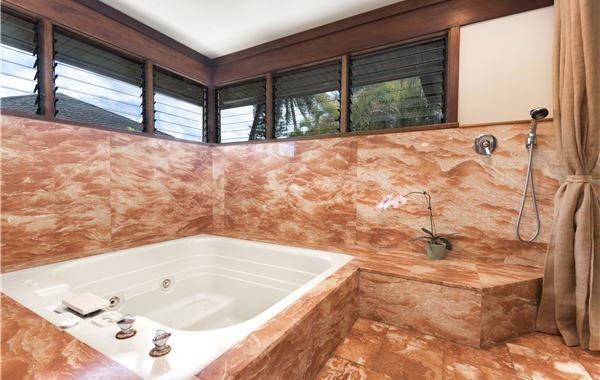 There is a separate, private marble-lined Jacuzzi® room with a outside entrance (from the back lanai). Each of the two over-sized bedrooms have direct access to separate lanais through screened doors. 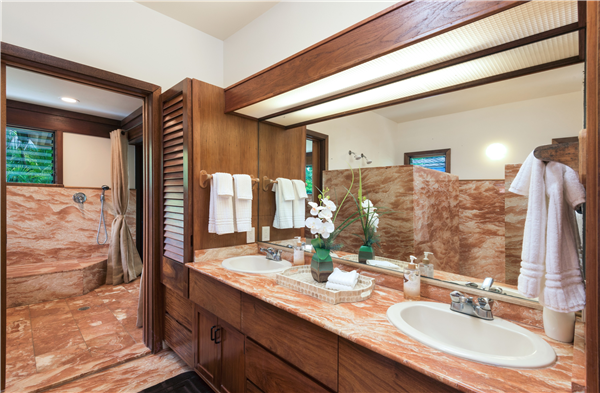 Each includes a queen-size bed and a daybed with an additional twin mattress; they share a large marble bathroom and shower. 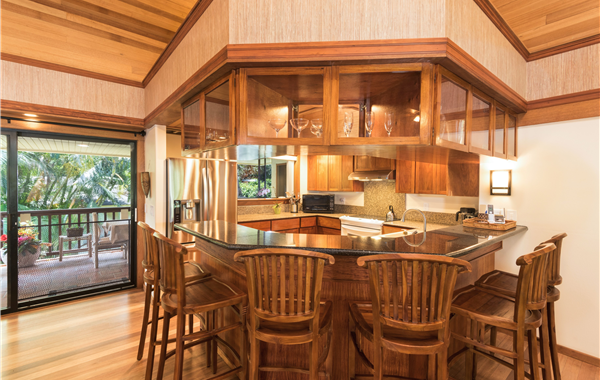 The fully-equipped kitchen has Koa wood cabinets, stainless steel appliances, granite counter-tops, and top amenities for intimate meal prepping and cooking. 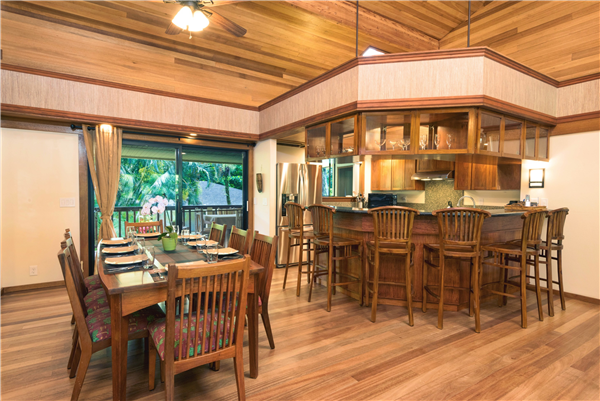 The 6 seat bar and 8 seat dining table provide ample dining room inside. 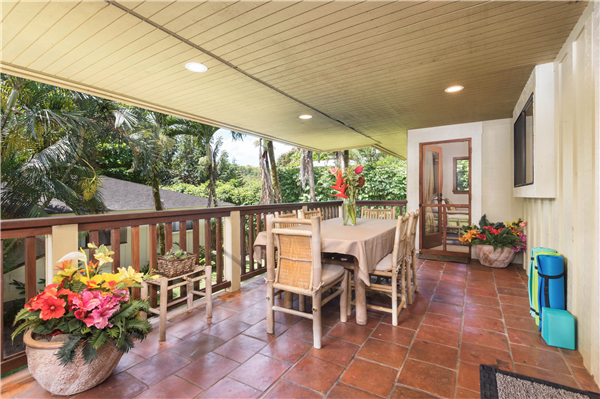 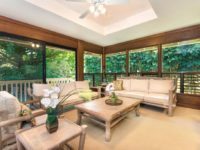 Outdoors ,you can dine on the front lanai and feel the ocean breeze while viewing the palm trees and ocean waves or enjoy a private lanai in the back. 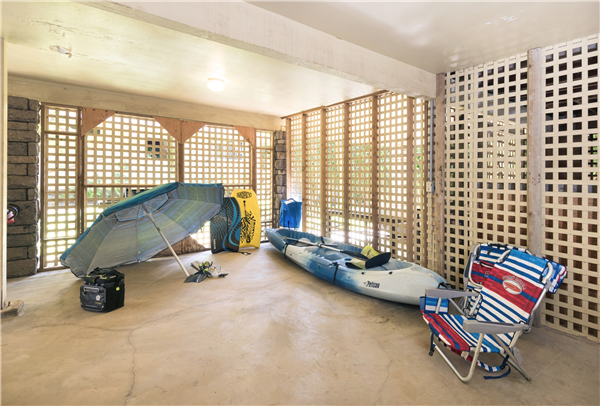 Whether a group of couples, friends or a larger family group, this home provides all the amenities after a long day at the beach or exploring. 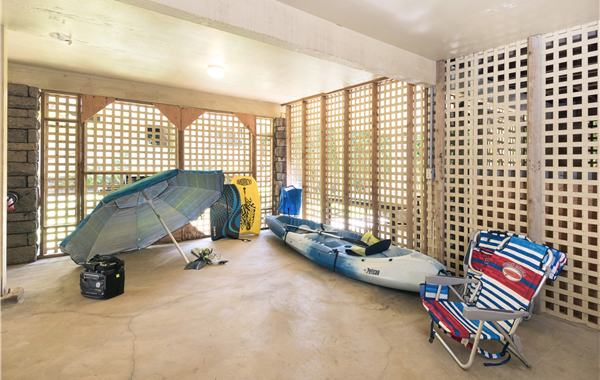 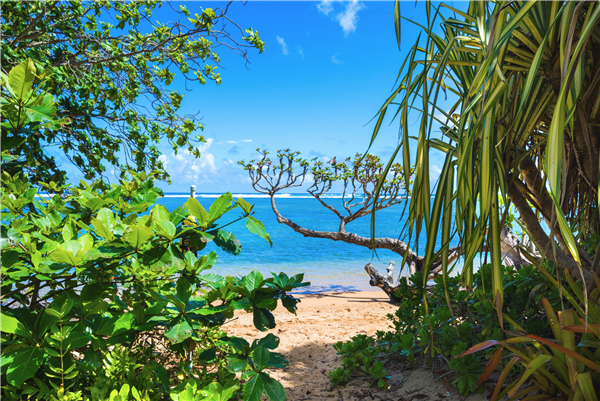 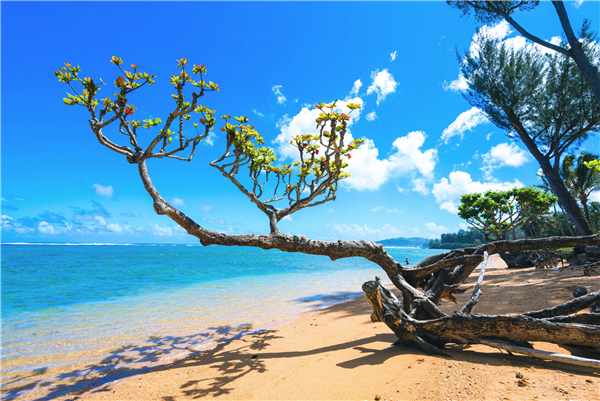 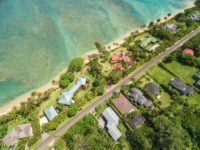 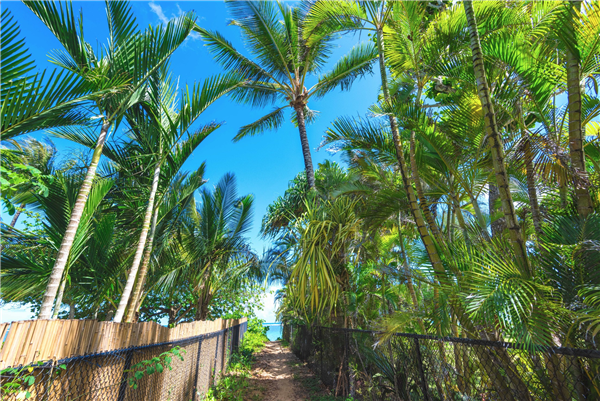 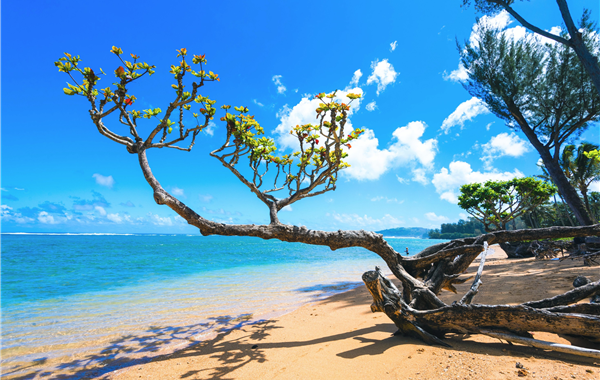 As you venture out, feel free to use the home’s coolers, beach towels, beach wagon, paddle boards, snorkel gear on the calm waters of Anini beach, the only swimmable beach year-round. Outdoor shower, multiple spots to rinse and complete, free laundry make it easy to keep clean. 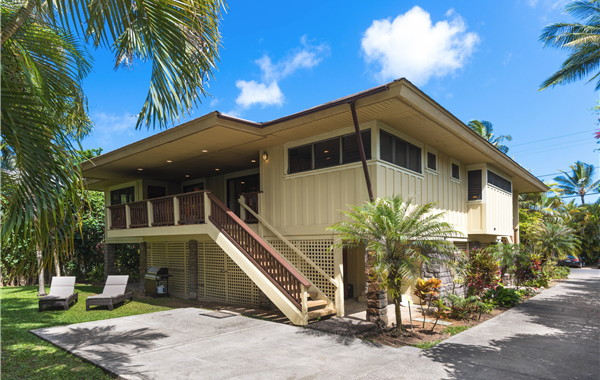 The home is fully-equipped with on-premise parking, bamboo linens, beach towels, barbecue, games, sightseeing and other books, DVD players and select videos, cable TVs and high speed mesh wifi, AppleTV, Netflix or Hulu downloads for late night movies. 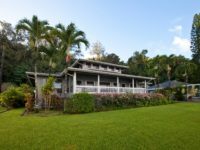 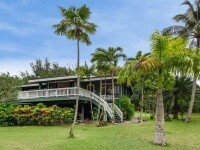 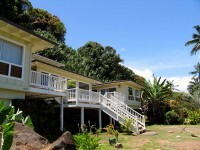 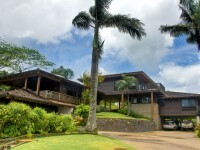 *Two homes on property, Anini Hale La’Au Pohaku is the main house (front house). 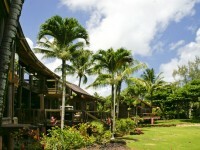 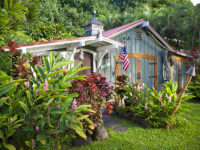 Guest cottage, the Anini ‘Ohana Cottage is located in the back. 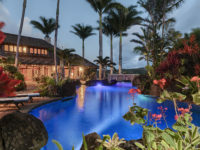 Both homes can be rented together, we call this the Anini Pohaku Estate (sleeps 12 total).